The holidays are all about entertaining. For one month of the year, you’re either the entertainer, or the party guest. Either way, you want to have a back up of no fail recipes on hand that you can use to feed your guests at home or to bring along to the next potluck. Canadian Living has just released The Ultimate Cookbook and it’s loaded with delcious ideas to get you through the whole month. The staff at Life in Pleasantville loved flipping through the pages of this beautiful and visually stunning cookbook. We had a hard time deciding which recipe to take for a test run, but finally settled in on these Sweet-and-Sour Meatballs. I was happy to take one for the team and try them. As we suspected, they are a definite crowd-pleaser. When looking for holiday appetizers to serve at your next party, look for recipes that can be made ahead of time and won’t break the bank with expensive ingredients. If you’re attending a potluck, you’ll want to ensure what you’re bringing is portable. Canadians have been relying on Canadian Living recipes for over forty years now, because their recipes are developed in their test kitchen under watchful eyes and only shared with us when they’re fail proof. So when you’re looking for a recipe to share, you can’t go wrong with The Ultimate Cookbook. We’re sharing the Sweet And Sour Meatballs recipe here but for more crowd-pleasers you’ll want to add this book to your wish list this year. 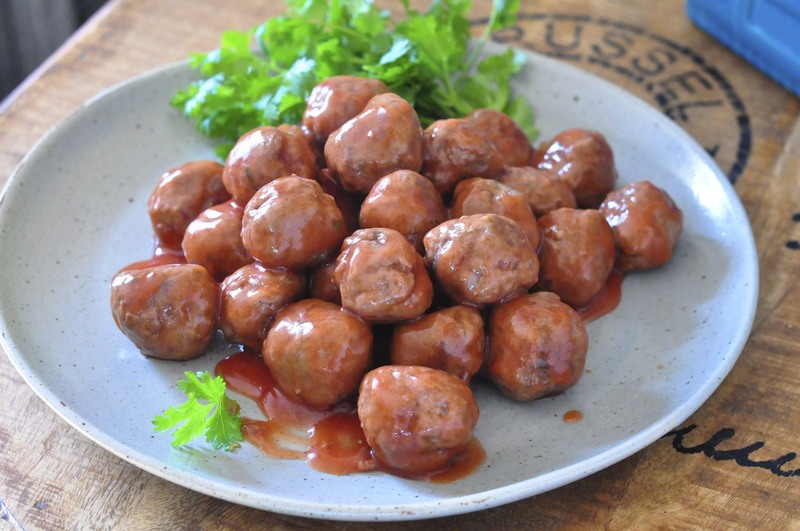 Grenadine gives the tangy sweet-and-sour sauce on these bite-size meatballs its signature bright red colour. In large nonstick skillet, heat oil over medium-high heat; working in batches, cook meatballs, turning occasionally, until browned and instant-read thermometer inserted into several meatballs reads 160F, about 10 minutes per batch. 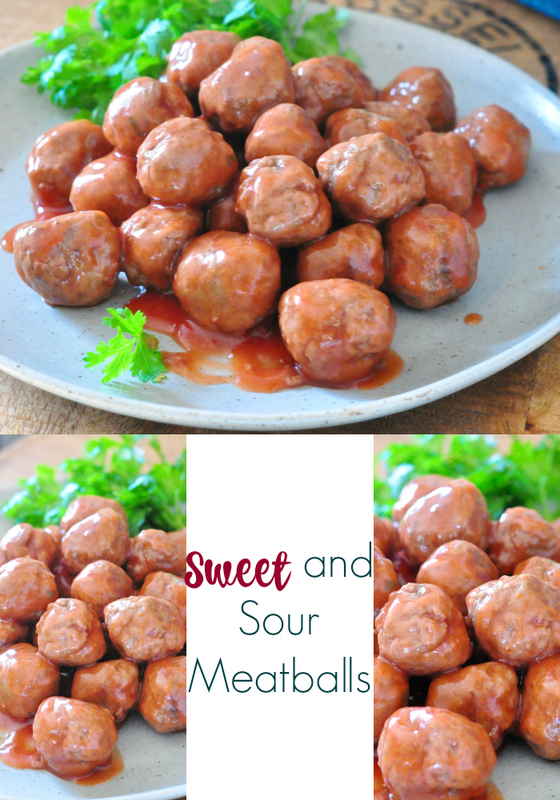 Sweet-And-Sour Sauce: While meatballs are cooking, in small saucepan, whisk together 3/4 cup water, pineapple juice, ketchup, brown sugar, grenadine, and vinegar. Bring to boil over medium-high heat; reduce heat and simmer for 5 minutes. Stir cornstarch with 2 tbsp water; whisk sauce and simmer until thickened, about 30 seconds. Toss three-quarters of the sauce with meatballs. Arrange in a serving dish; top with remaining sauce. For Appetizers: Place in a single layer on a serving tray with toothpicks or small skewers. I prepared these ahead of time and refrigerated them for cooking and serving the next day. They're best warm. You can find The Ultimate Cookbook online at the Canadian Living Store, at Chapters Indigo and Amazon Canada. Enter below using the Rafflecopter entry to win your own copy of The Ultimate Cookbook from Canadian Living! No word of lie, I was *just* at Coles ogling this book. Our ultimate recipe is perogies. I love to make Soft pretzels, or a really good foccacia bread. My ultimate recipe is Turkey with stuffing.